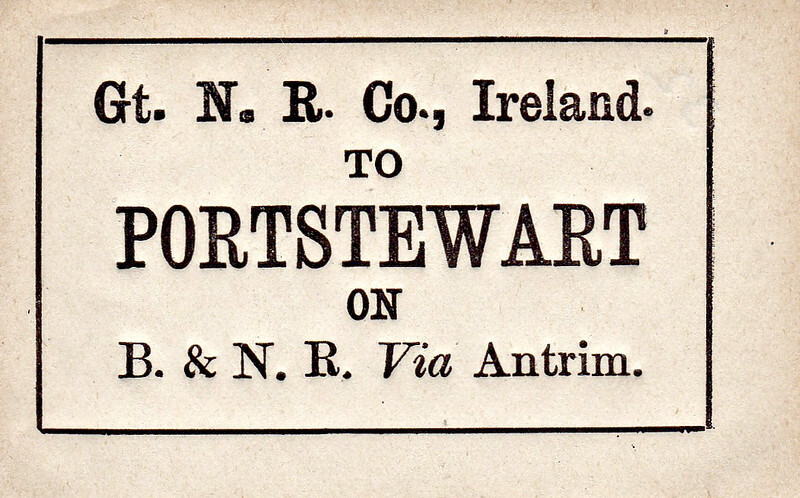 GREAT NORTHERN RAILWAY (IRELAND) LUGGAGE/PARCELS LABEL - PORTSTEWART - A popular seaside resort on the Coleraine - Portrush branchline. Most of the journey would have been via the B&NCR and Antrim. The station closed in September 1963, reopened in March 1969 as Cromore and closed again in May 1988.